Ann is Executive Chairman of Carnival Australia, the largest cruise ship operator in Australasia and a division of Carnival Corporation & Plc. Carnival is the world’s largest cruise ship business and owner of 10 iconic brands including P&O Cruises, Princess Cruises, Aida, Cunard, Carnival Cruise Lines, Holland America Line and Seabourn. She joined in 2007 as CEO and has transformed the industry and growth has been double digit each year since 2007. 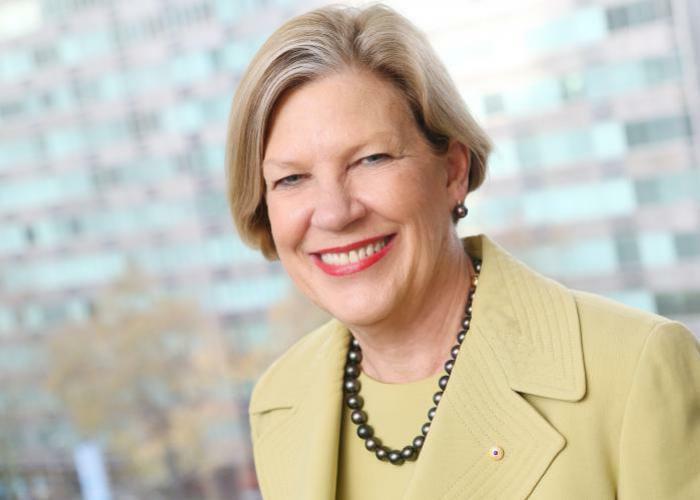 Prior to this, Ann held many roles with Westpac over 12 years including Chief Executive Officer, Westpac New Zealand and Pacific, CEO of the Bank of Melbourne and Group Executive, People & Performance. Before joining Westpac, Ann was First Assistant Secretary of the Office of the Status of Women in Canberra, advising the Prime Minister on policies and programmes to improve the status of women and was Australia’s representative to the United Nations forums on human rights and women’s rights. In addition to her executive role, Ann holds a number of non-executive roles including Sydney Airport, ING Direct (Australia), The Palladium Group, Australian Rugby Union and Cape York Partnership. Ann is also a member of the Supervisory Board for ING Global. In 2001, Ann was awarded a Centenary Medal. In 2004, Ann was awarded an Order of Australia. In 2011, Ann was listed in the FTSE 100 Global Women in Leadership. In 2013, she was awarded an Honorary Doctor of Letters by Macquarie University for her contribution to business and civil society and in 2014, an Honorary Doctorate of Business by University of Queensland. In 2015, Ann was named as the overall winner of the Australian Financial Review and Westpac 100 Women of Influence Award.